Discover window frame terminology and explore window terms for types and styles. 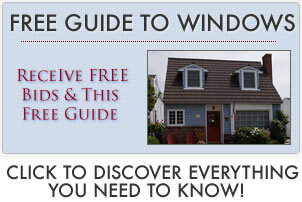 The following is 1 of 4 pages on our section dealing with window terminology. These are aluminum exteriors in which the exterior frame is covered by a sheet of aluminum so that it is more durable and low maintenance. This provides the interior beauty of wood and the strength and durability on the outside. More on aluminum frames. Comprised of two panes of glass that have space between them filled with air or gas (argon or krypton) for added insulation. These are typically found in a basement and are large enough to serve as an emergency exit or egress options. Fiberglass frames made from a composite material of glass fibers and plastic. These are pre-manufactured but unassembled window kits. A wood frame interior in which the exterior wood frame is covered by a sheet of metal, steel or aluminum so that it is more durable and low maintenance. This provides the interior beauty of wood with the exterior weather resistance of metal. windows with sashes that can be pivoted or tilted in to make them easier to clean. windows comprised of three panes of glass that have space between them filled with air or gas (argon or krypton) for added insulation. wood frame windows in which the exterior wood frame is covered by a sheet of vinyl so that it is more durable and low maintenance. This provides the interior beauty of wood with the exterior weather resistance of vinyl. More on vinyl windows. Awnings are typically rectangular in shape that are hinged on the top so that they can open outward from above. When opened, they resemble awnings, providing both ventilation and an awning for rain. A set of three (or more) windows that are connected along the vertical edges and jut out from the wall of a house. The frames sit at an angle to one another with the center pane typical larger than the two outside sections. Discover bays. A series of multiple windows that are connected and angled in such a way as to form a curved or bowed window that extends out from the exterior wall of a house. More on bow windows. These have a set of hinges on a vertical side of the window (either right or left side) that allows the sash to swing opened and closed. Casements can open towards the interior or exterior of the house, depending on how the hinges are mounted to the sash. They that are mounted high up on a wall to allow the maximum infiltration of light into a room. These have multiple panes, or the illusion of multiple panes, within a sash. They are typically single or double hung windows and are referred to as 6-lite, 9-lite, 12-lite, etc., which indicates how many panes are in the window. Explore Colonial windows. These are the most popular style and have two movable sashes, one above the other. More on double hungs. Semi-circle windows that have bars radiating out from the center. This type of window is typically placed over another window or a door. These are non movable options, as opposed to casements, awnings etc that open. Read up on fixed frames. These come in a variety of geometric shapes other than rectangular, square or round. Examples are octagons and trapezoids. These are similar to bays or bows, but the top of the window is also comprised of glass. These open in from the top. Hinges are placed on the inside bottom of the sash. Read about hoppers. A jalousie is made up of a series of horizontal glass panes that resemble slats. The slats can be pivoted open using a hand crank. A lancet window has a pointed arch at the top in the Gothic style. These have diagonal shaped panes made possible by diagonally situated muntins. Transoms are placed above a door to provided added light. Operable transoms can be opened to provide ventilation. Oriels are similar to bays, these windows are supported completely by attachment to the exterior wall and do not extend down to the ground. Large rectangular or square windows that have smaller semi-circle windows above and other small windows on each side. Also called Venetians. Large fixed or stationary windows that do not open. They can be flanked by operable windows for ventilation. This is where the upper sash is comprised of a number of small panes arranged in a variety of patterns. These that are mounted on the sides of a door to let in additional light and ventilation, if operable. These have two sashes, one above the other, but only the lower sash is movable and the upper sash is fixed. Visit our page on single hungs. These are roof mounted windows that provide light from above. Operable skylights can be opened to provide ventilation as well. Find out more on skylights. Large rectangular or square windows that have smaller semi-circle windows above and other small windows on each side. Also called Palladian.